While most RPG titles offer very limited area for you to explore, restricting it by invisible walls, or simply with various design solutions, Wave of Darkness enables you to wander everywhere, and whenever you wish to do so. Of course, you can follow the strict path of the Description, and complete quests until you finish the game, or you can explore every bit and corner of Narr, meet various NPCs, complete side quests for them, and fight dangerous monsters. 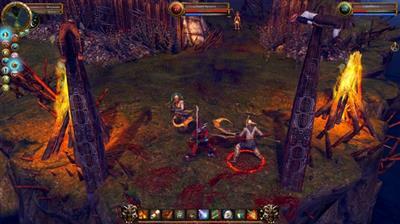 WOD offers 70+ hours of gameplay.